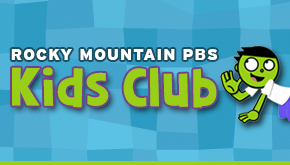 Rocky Mountain PBS earned the 2015 Colorado Libraries for Early Literacy Hero Award for supporting literacy efforts with programs like StoryBlocks. Children get ready to read long before they start Kindergarten. You can help by singing, talking and playing with the children in your care. 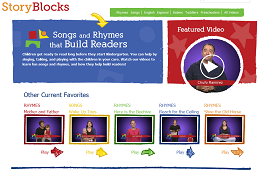 Watch our videos to learn fun songs and rhymes, and how they help build readers. Storyblocks, which won an award from the Colorado Association of Libraries in 2010 and 2015, is a collection of 30-60 second videos designed to model to parents, caregivers, and library staff some songs, rhymes, and fingerplays appropriate for early childhood. Each video clip includes helpful early literacy tips to increase caregivers’ understanding of child development and pre-literacy needs. These videos were produced by Rocky Mountain PBS in partnership with Colorado Libraries for Early Literacy (CLEL) with funding from the Institute for Museum and Library Services and Colorado libraries. Additional content can be found at Storyblocks.org.